On Tuesday, November 14, 2017, GOP Congressmen, with leading Cannabis advocacy firm The Liaison Group (TLG) and Public Affairs firm Gide, will hold a press conference to bring together a diverse set of patients who have all benefited from medical Cannabis to share their personal stories on Capitol Hill. This press event is presented in conjunction with broad bi-partisan legislative efforts to continue the protection of State-enacted, State-regulated medical Cannabis programs from federal interference. “It was important for us to bring together a diverse set of individuals to show that so many people today are benefiting from medical Cannabis—Veterans, athletes, children, as well as their parents. Many Members of Congress are taking positions on medical Cannabis policies without hearing the real-world stories of how the plant is transforming some of their constituents’ lives, which is why we wanted to bring these voices directly to Capitol Hill,” said Gide Principal, Arika Pierce. GOP Congressman Matt Gaetz (R-FL) and Congressman Tom Garrett (R-VA) who are actively working in Congress to reform Federal Cannabis laws, including to remove research restrictions and to protect State-enacted medical Cannabis programs from federal interference. 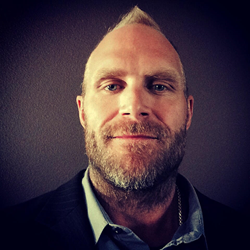 Former NFL star Kyle Turley whose eight year NFL career and over 100 concussions caused him to become reliant on pain killers which contributed to his 20-year struggle with depression, anxiety and rage. Kyle will share his experience with medical Cannabis and how it ultimately saved his life, and now allows him to live opioid-free. Former Navy SEAL Nick Etten who is the Founder and Executive Director of the Veterans Cannabis Project, an organization dedicated to improving US military Veterans’ quality of life through legal access to medical Cannabis. Nurse Holley Moseley who has over 14 years of nursing experience, specializing in pediatrics and clinical research. Her daughter suffered from daily seizures despite the use of anti-epileptic medications, special diets and an implantable device. It wasn’t until she began using high-CBD cannabis oil that she found relief. As a result, Holley has become a medical Cannabis advocate and was instrumental in passing the first cannabis legislation in the state of Florida, known as "The Compassionate Medical Cannabis Act of 2014". Other speakers will include parents of children who have effectively used Cannabis to treat illnesses such as epilepsy and chronic pain, as well as other Republican Congressional Members who support efforts to advance Federal Cannabis policies that respect the robust and sophisticated State Cannabis programs that have been enacted throughout the country. A press conference calling on Congress to recognize the modern medical developments of Cannabis through first-hand patient stories from the many different faces that benefit from medicinal Cannabis—children, parents, Veterans, and athletes. This event is open to the press. Media outlets who plan to attend should RSVP to Arika Pierce at apierce(at)gidellc(dot)com or 202.421.4099. TheLiaisonGroup ["TLG"] is a women-owned firm that works to secure and sustain market access for responsible businesses within the botanical and Cannabis space. TLG advocates for clients who believe that an industry which values and is committed to compliance, via sound regulatory frameworks that address finance and banking needs, manufacturing and cultivation practices, and labeling, packaging, distribution and security measures, will flourish into a prosperous environment for all stakeholders. Gide is a Public Affairs firm that specializes in intersecting cannabis businesses and organizations across the vertical with government and public policy communication strategies that ultimately drive the legal growth of the industry. Through public awareness campaigns and thought leadership Gide seeks to educate a wide range of stakeholders on cannabis to ensure reasonable and informed policy decisions and outcomes.